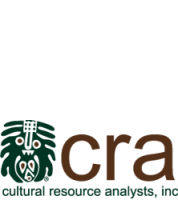 CRA Supporting KYTC's Bridging Kentucky Project | Cultural Resource Analysts, Inc.
CRA is proud to be part of the Bridging Kentucky Project Team. With the Bridging Kentucky program, the Kentucky Transportation Cabinet (KYTC) is leading a transformational commitment to improve the safety and soundness of bridges across the Commonwealth. KYTC will rehabilitate, repair, or replace more than 1,000 critical structures in all 120 Kentucky counties over the next six years. They will reopen closed bridges, remove weight restrictions that prevent use by school buses, emergency vehicles and businesses, and improve access and mobility for all Kentuckians. CRA’s archaeologists and architectural historians are part of a large environmental team helping KYTC conduct the necessary environmental reviews for each bridge in the program. Since the program launched in mid-2018, we have completed dozens of archaeological surveys and cultural historic assessments for bridge rehabilitation and replacement projects throughout central and eastern Kentucky, and we are gearing up to complete many more in 2019. For more information about Bridging Kentucky, visit https://bridgingkentucky.com/.